 Local branch CFI-Tampa Bay fosters a secular society based on science, reason, freedom of inquiry, humanist values, and your constitutional liberties … You can help! Volunteer. Here’s why: In the contemporary marketplace of ideas, one can find responsible, objective, & evidence-based information on everything from foreign policy to hormone replacement therapy. Yet when it comes to some of our most fundamental questions — about human values, the transcendent, or the borderlands of science — one often only hears from partisans of traditional religion, New Age practitioners, or anti-science movements. With its local communities & public seminars, its network of scientists, philosophers & other thinkers, its grassroots advocacy & public education programs, & its popular & scholarly publications, the Center for Inquiry fills this gap, lending a credible voice to critical inquiry & the scientific outlook. African Americans for Humanism — African Americans may be the nation’s most religious minority, but the churches and religious leaders don’t speak for many of us. Today as in the past, many African Americans question religion and religious institutions. More and more of us stand for reason over faith. Freethought over authority. Critical thinking in place of superstition. Many of us are nonreligious; some are nontheistic. African Americans for Humanism supports skeptics, doubters, humanists, and atheists in the African American community, provides forums for communication and education, and facilitates coordinated action to achieve shared objectives. In an irrational world, those who stand for reason must stand together. Tampa Bay Skeptics — Well known organization that educates the public, is the major]]><! [CDATA[Florida media source for information about the paranormal, and a leading examiner of claims of the paranormal/supernatural. If you profess to be a Skeptic, please join and support the cause of critical thinking. The Committee is a nonprofit scientific and educational organization, started in 1976. The Skeptical Inquirer is its official journal. CSI encourages careful, rational, critical examination of unusual claims. One of the best guides is a short piece by Ray Hyman, a professor of psychology at the University of Oregon, titled “Proper Criticism”.